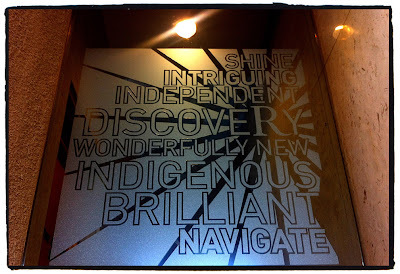 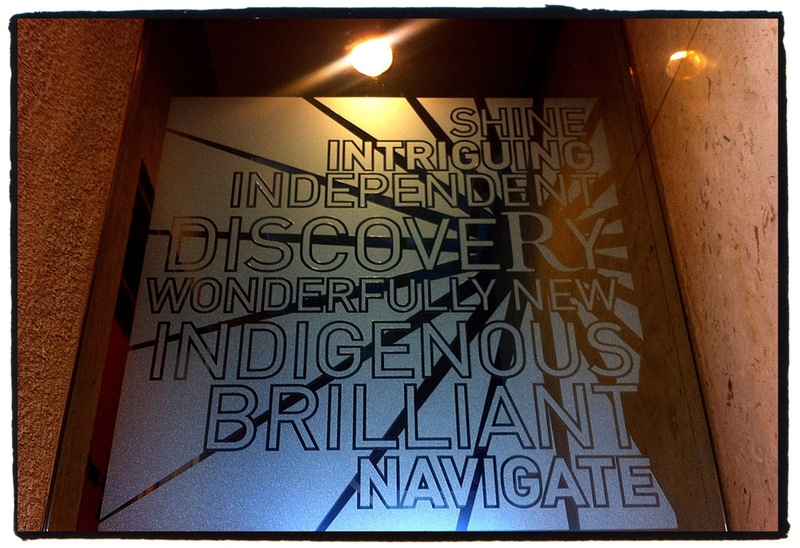 I noticed this interesting window as I was checking out of the Renaissance Esmeralda. 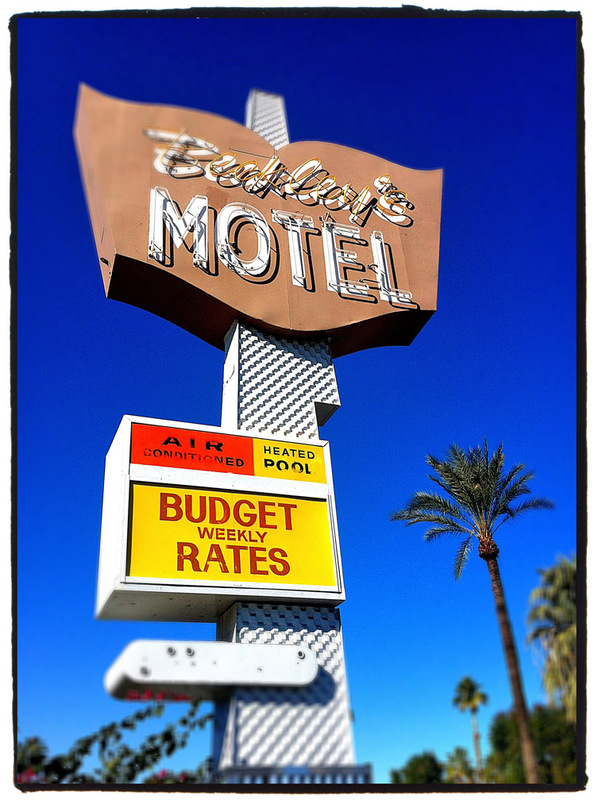 I always love shooting old signs. I knew I had photographed this car wash sign in the past but it was on film. 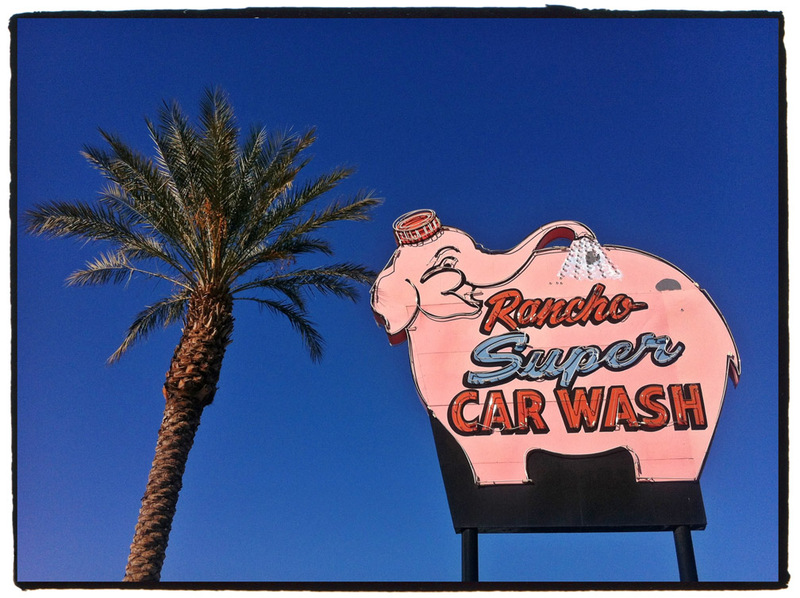 Since it was in perfect light on the way to the airport I had to stop to shoot some iPhone pix. 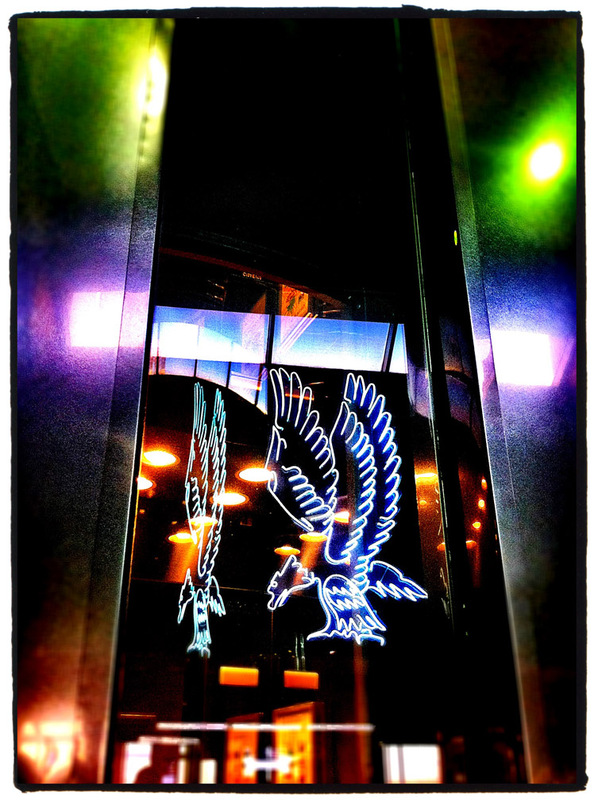 I shot this pic of a neon eagle reflecting in the Admiral's Club glass elevator shaft at DFW.